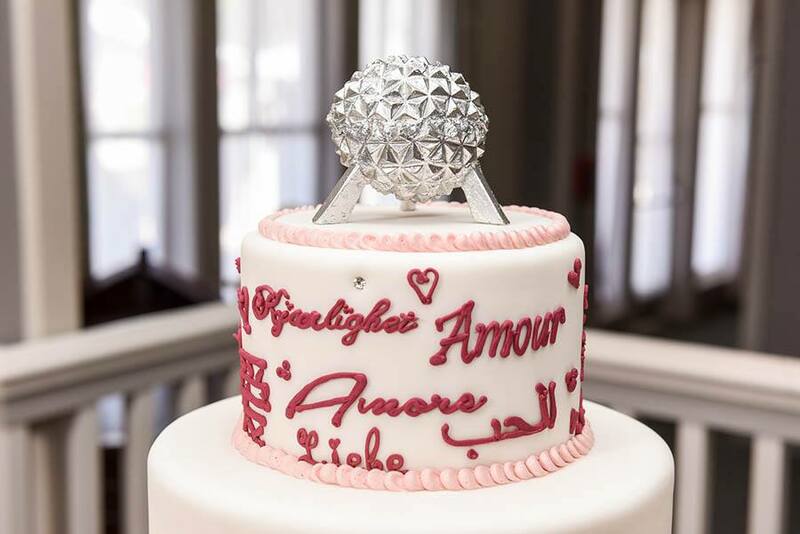 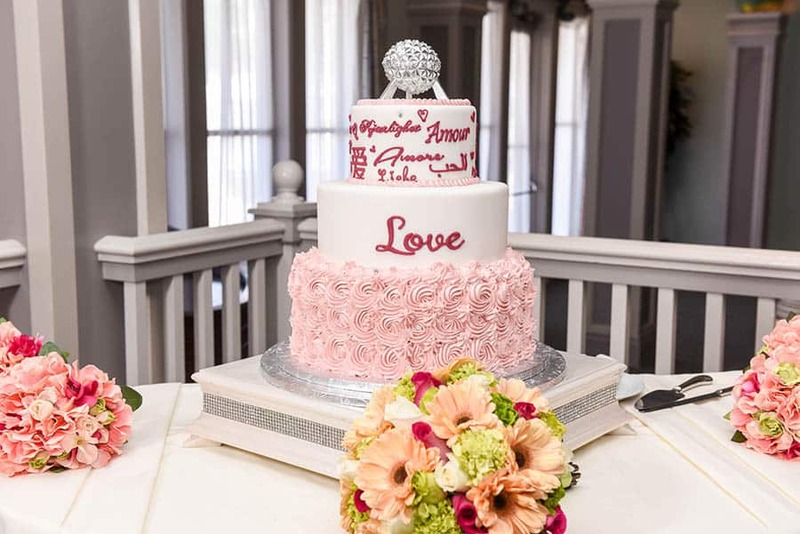 Can you feel the love in this Epcot World Showcase inspired cake? 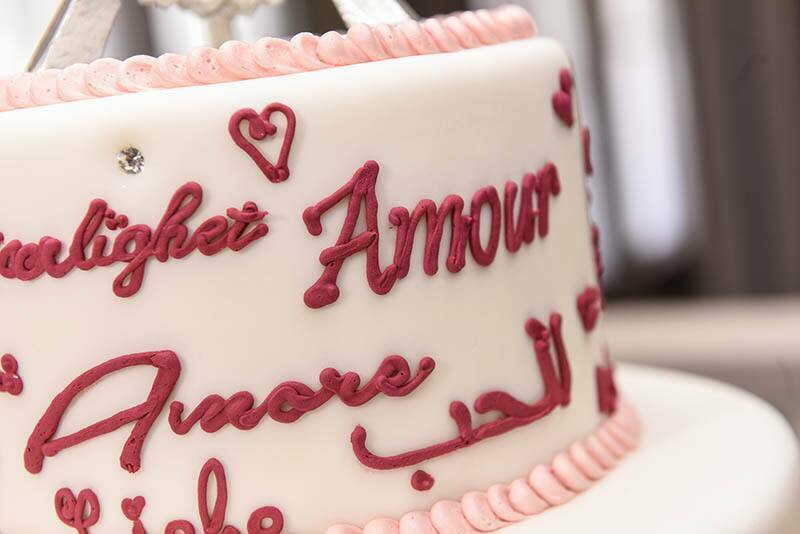 The top two tiers feature hand piped lettering of the word "Love" in different languages of the countries in the World Showcase. 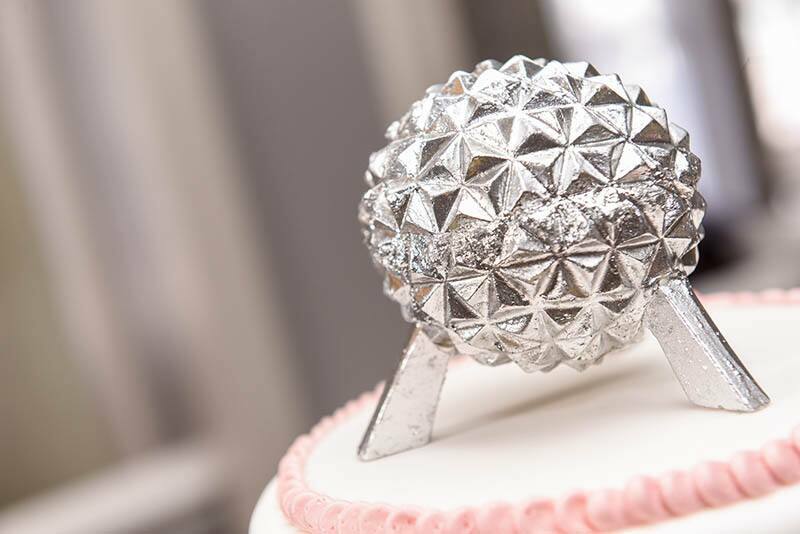 With pink icing flowers adorning the bottom tier and a Spaceship Earth cake topper, this uniquely designed cake is any Epcot lovers dream!